The Senegalese telecom regulator, the ARTP, has just released its 2009 annual report, and there’s some pretty interesting statistics in the mobile, Internet (and mobile Internet) sectors. – The mobile penetration rate has risen to 56.7 percent, compared to 50.9 percent a year earlier. – Orange (Sonatel), the incumbent mobile operator, still retains a dominating position of the market, with 66.8 percent of the market, or over 4.6 million subscribers. – By contrast, Tigo (Sentel), has only 30.2 percent of the market, while the newest mobile player, Expresso (Sudatel), which started service in 2009, only has 3 percent of the market. – Prepaid mobile phone services constitute 99.26 percent of the market. 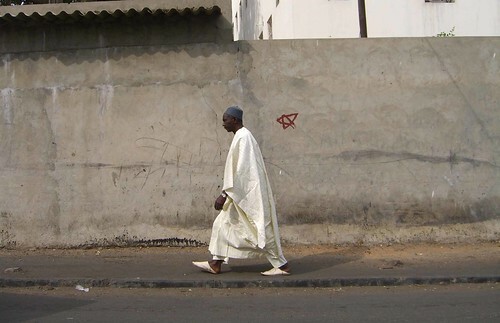 – With annual growth of 28 percent, there are now 59,745 Internet subscribers in Senegal, and of those, 90.5 percent of them have ADSL service. – ADSL accounted for 95 percent of Senegal’s Internet customers at the end of June, while the remainder access the Internet via a 3G USB stick (currently offered by Orange and Expresso). And in other news, it looks like Google is trying to expand in Senegal. As a University Programs Specialist you will manage technical outreach and related projects in Africa. You will be working in the areas of project management, communications, negotiation of contracts and partnerships, plus developing and optimizing programs to support education development and engineering initiatives.